12 I turned to see the voice that spoke with me. Having turned, I saw seven golden lamp stands. 13 And among the lamp stands was one like a son of man, clothed with a robe reaching down to his feet, and with a golden sash around his chest. 14 His head and his hair were white as white wool, like snow. His eyes were like a flame of fire. 15 His feet were like burnished brass, as if it had been refined in a furnace. His voice was like the voice of many waters. 16 He had seven stars in his right hand. Out of his mouth proceeded a sharp two-edged sword. His face was like the sun shining at its brightest. 17 When I saw him, I fell at his feet like a dead man. He laid his right hand on me, saying, “Don’t be afraid. I am the first and the last, 18 and the Living one. I was dead, and behold, I am alive forever and ever. Amen. I have the keys of Death and of Hades. 19 Write therefore the things which you have seen, and the things which are, and the things which will happen hereafter; 20 the mystery of the seven stars which you saw in my right hand, and the seven golden lamp stands. The seven stars are the angels of the seven assemblies. 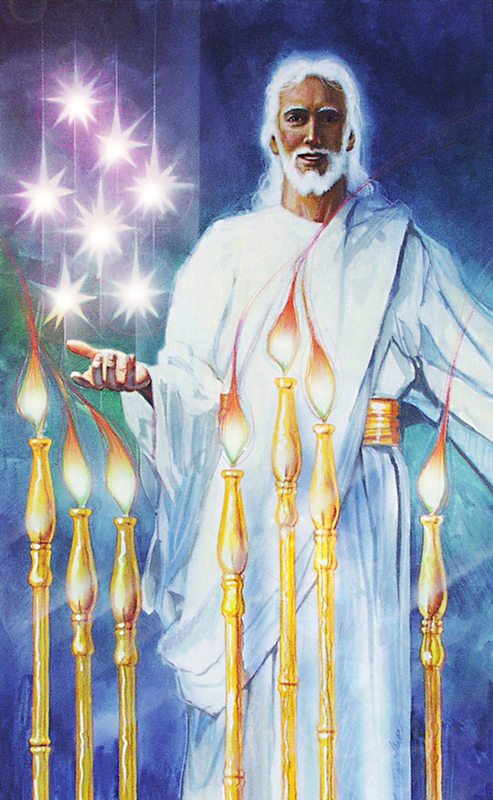 The seven lamp stands are seven assemblies. This is the Revelation of Jesus Christ, which God gave him to show to his servants the things which must happen soon, which he sent and made known by his angel to his servant, John, who testified to God’s word, and of the testimony of Jesus Christ, about everything that he saw. Him which is, and which was, and which is to come! 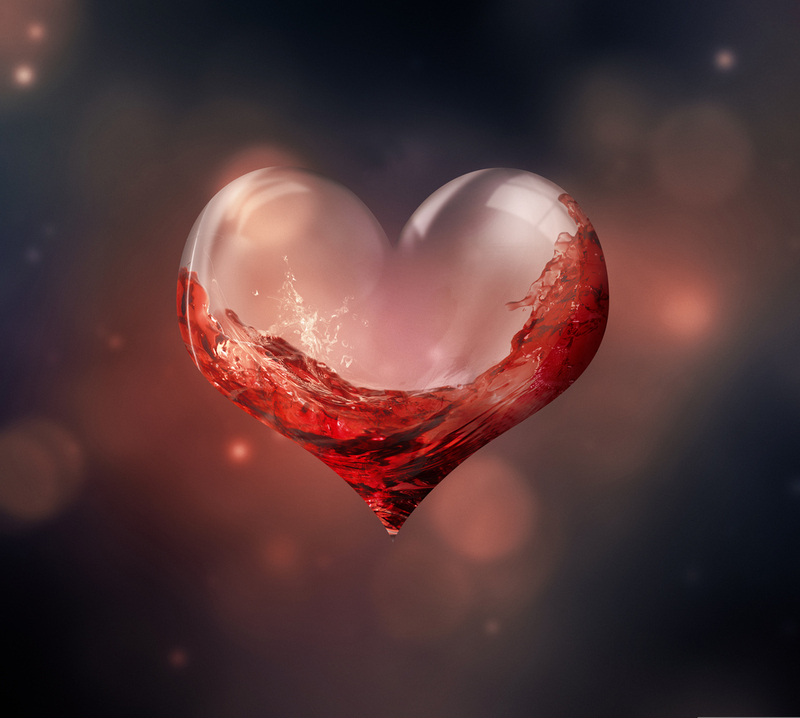 Click here to learn more about how Jesus has washed us from our sins in His own blood. I John, your brother and partner with you in the oppression, Kingdom, and perseverance in Christ Jesus, was on the isle that is called Patmos because of God’s Word and the testimony of Jesus Christ. 12 I turned to see the voice that spoke with me. Having turned, I saw seven golden lamp stands. 13 And among the lamp stands was one like a son of man, clothed with a robe reaching down to his feet, and with a golden sash around his chest. 14 His head and his hair were white as white wool, like snow. His eyes were like a flame of fire. 15 His feet were like burnished brass, as if it had been refined in a furnace. His voice was like the voice of many waters. 17 When I saw him, I fell at his feet like a dead man. He laid his right hand on me, saying, “Don’t be afraid. I am the first and the last, 18 and the Living one. I was dead, and behold, I am alive forever and ever. Amen. I have the keys of Death and of Hades. 19 Write therefore the things which you have seen, and the things which are, and the things which will happen hereafter; 20 the mystery of the seven stars which you saw in my right hand, and the seven golden lamp stands. The seven stars are the angels of the seven assemblies. 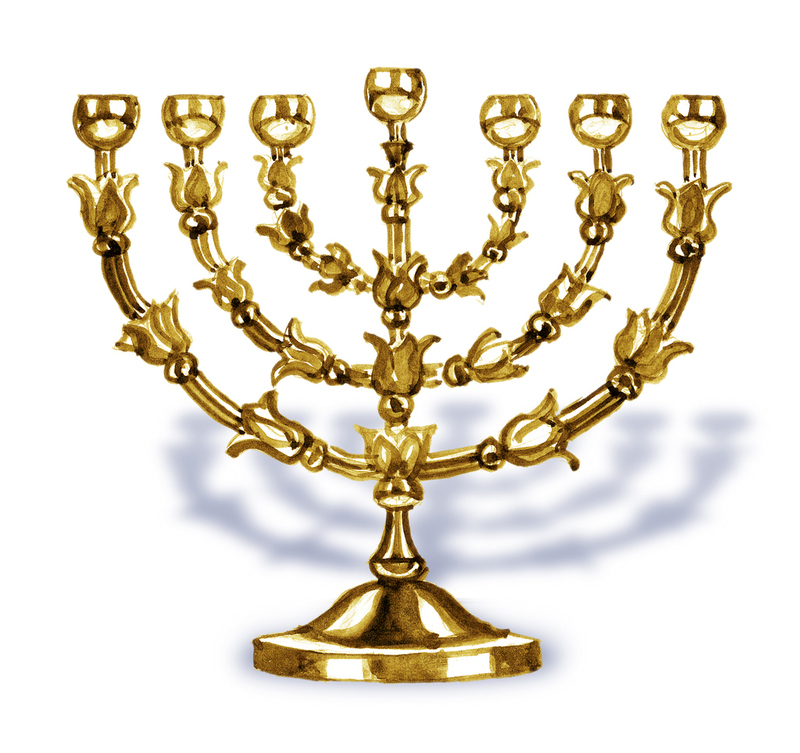 The seven lamp stands are seven assemblies.